The term podcasting has grown in popularity steadily the last couple of decades and is currently experiencing a significant boon in both the number of producers and listeners. As with many emerging and evolving industries, standards and guidelines remain elusive while experimentation is wonderfully abundant. 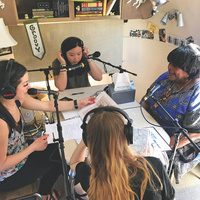 From daily news segments to fictional long-form stories, the growing number of high-quality podcasts is vying for the attention of the listening public. In this session, Designing for the Ear, we will present and discuss the current trends and needs to help us better understand this new ecosystem of podcasts and audio storytelling. We invite thoughtful podcast producers and audio storytellers to share their storytelling craft in using audio interviews, script writing for the ear, and sound design. Networking reception will immediately follow. Please RSVP by April 2nd.